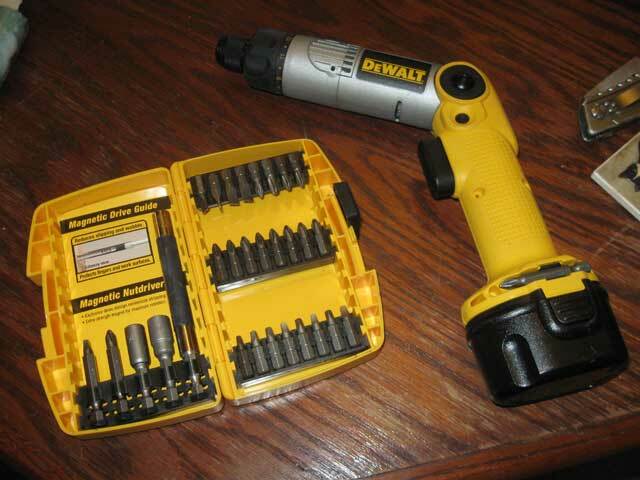 My friends Dean and Cindy got me this Dewalt electric screwdriver thing for Christmas last year. I also have a dedicated screw/impact driver for the bigger jobs but it turns out this tool is very robust and lends itself to many jobs. It is quite powerful and a charge lasts for lots of uses (also came with an extra battery). Verdict is, “I *like* it!”. The handy box ‘o bits is also very cool. Another tool for the collection!